SEO basics and fundamentals are now more important than ever. However, the always changing landscape of SEO forces most of us to learn new things every year and adapt. A year ago if you asked me what skills SEOs need to learn for the future, I might have said something completely different, but for 2014 I am willing to bet the following will be crucial. Taxonomy is simply the practice of classifying things at the concept level. It seems like a very common sense practice, but when you actually start doing it, you will realize that it can be very complex. For example, lets pretend that you sell paper products online. You might start organizing your inventory around product types, but then realize that your target demographic searches for paper products by type of use. Or you might decide that you want to sell paper based on manufacture, or milling process. There are literally millions of ways that you can classify information, and having a clear articulated process will help in many ways. Why is taxonomy design so important for SEO? With Hummingbird, mobile search, and other future search trends, defining concepts is more important than ever. A strong taxonomy design can be the foundation for other important elements such as content development, information architecture, and keyword research. Online community management has become an important task with brand building and social media management. Having a robust community means more exposure for your brand, and a closer connection to potential consumers. With Google’s ever increasing dependence on Google+ as a platform, community management is becoming an important part of SEO. Sites with strong Google+ profiles will get more exposure and tend to rank higher. Public relations has always been an intricate part of any successful marketing campaign. Engaging with media outlets can help with brand building a campaign promotion. Public relations can also be used to build strong powerful links. The types of links that don’t trigger Penguin. Understanding how to pitch a story to news outlets, get them to run the story, and then link back to your site, will be one of the most powerful link building tactics now and in the future. Whether it’s content development, keyword research, or taxonomy design; research is becoming an increasingly important step with SEO. Hummingbird is forcing SEOs to have a very developed understanding of user intent. This goes a lot deeper than regular keyword research. SEOs need to now understand what types of questions users are asking, not just what words are relevant to the page. A basic understanding of HTML has always been a valuable asset to SEO. 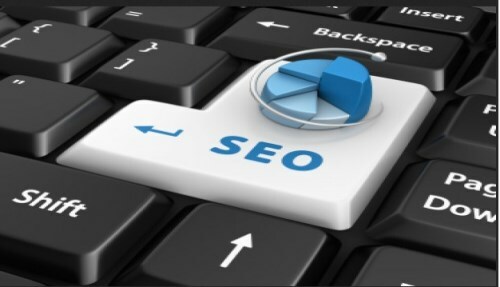 Meta, title, and anchor tags are the traditional on page SEO HTML elements. However, now Google is putting more emphasis on structured data and authorship. Both of which requires unique HTML tags to implement.